Earlier we gave you an overview of the Sweethands passing trainer. In the overview we talked about what you get, assembly of the product, the price, and purpose. We will briefly cover the topics mentioned above and then show you how the SweetHands works in our Sweethands review. Price – The Sweethands sells for about $99.95 for the basic model, and $30 extra for the deluxe. The difference between the two is the quality of the plastic used. If you are a hockey coach and want to use the trainer on a regular basis you should get the deluxe version. If you just want to use the Sweethands the odd time then you should get the regular version. Purpose – The Sweethands is a very simple concept, think of it as a sooped up line of hockey pucks. 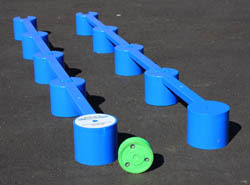 A good way for hockey players to practice moving the puck around obstacles is to line up a row of pucks and stickhandle through them. The only problems is that every time you hit a puck you will have to set the row of pucks up again. The Sweethands solves that problem by providing a number of “posts” that are all connected with an easy snap-on connection. The purpose of the Sweethands is to challenge hockey players when they are stickhandling. 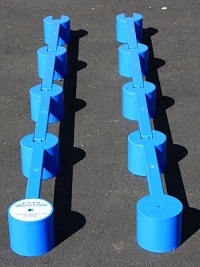 With this device you can practice stickhandling around obstacles, over obstacles, and under obstacles. This constant challenge will encourage hockey players to work on the accuracy of their moves. This can be an advantage on the ice when a hockey player needs to feed a pass through a players skates, or stickhandle the puck through tight quarters or under a players stick. What you get – The Sweethands comes in eight pieces, there are two starter pieces and six extension pieces. If you use one starter piece and all the extention pieces you will have an 8 foot long area for stickhandling. You can also use two starter pieces and 3 extension pieces on each to have 2 four foot long sections. Assembly – It is very easy to assemble the Sweethands, all you have to do is fit the tongue of an extension piece into the groove of a starter pieces and fold it down to lock it into place. You can then follow the same process to add on as many extensions as you would like. First Look – The SweetHands looks very durable, we got the basic model that was $99.95 and it looks like it will hold up for quite a while. The pieces are a bit bulky but I can’t really see a way to make this product without having the bulky pieces. The pieces fit together great and we were able to set up one 8 foot section and the two 4 foot sections without any problems. The Sweethands worked exactly how it is supposed to, pucks and stickhandling balls work great and slide under the Sweethands with ease. I practiced moving the puck under each section, then took some time to see how fast I could perform the same tasks. I practiced using my forehand and backhand, toe drags and a few fancy moves like flipping the puck over the Sweehands on the forehand and backhand. The only slight downfall to the Sweethands is that it is a bit bulky, with all the pieces taken apart it can be a bit awkward to move around. My recommendation is to use a large recyclable grocery bag. 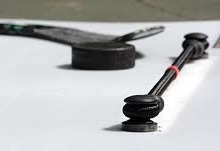 The Sweethands is a simple training device that will challenge hockey players to use their imagination and practice various moves that they will need to use on the ice. 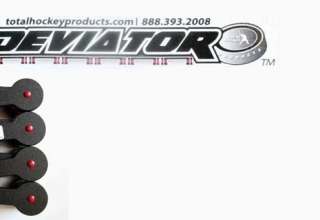 Previous article Win a Hockey Training Aid Prize Pack! Well it is nice. But what if your skate steps on it???????????? ?